Carpets are available in various pile constructions. The most common form of domestic carpet is the cut (plush or twist) pile. The most common form of commercial carpet is a loop pile. Loop piles are comprised of an uncut continuous loop of fibre and tend to be a harder wearing construction. Plush (or twist) piles have had the loops in the pile cut during the manufactureing process, giving a softer, richer feel and comfort. 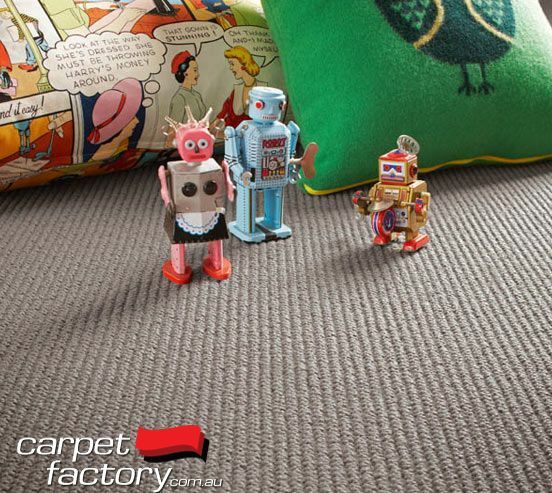 "Plush" is a cut pile carpet that offers a plush, almost velvety finish. Each tuft is cut at the same height to create a luxuriously smooth finish. 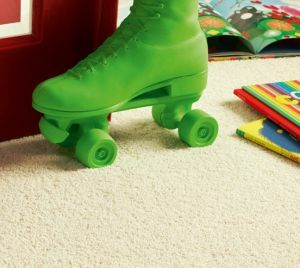 Plush pile carpets often show shades, adding to the character of the carpet. Plush piles are are available and peform best in pure Nylon stain treated fibre, and high content Wool Blend fibres. an 80% wool mix tends to be the best peformer in a wool blend, as the synthetic mix in high end wool blend provides strength and locks the wool fibres together in the cut pile, without compromising the excellent peformance qualities of the high wool content. Yarn is left in a loop, and is not cut to open tufts. As the name suggests the loops of the carpet are in rows of varying height, providing a stylish textured appearance that is durable and hard wearing. 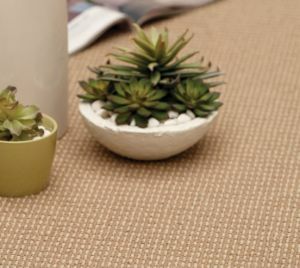 (Please note, the name Sisal comes from natural woven plant fibres of sisal flooring, however it is now more comonly used to describe Sisal Look, or (high-low loop) Cord carpets made, not from sisal yarn, but from wool or synthetic fibres. Sisal/ Cord Loop piles are avialable in pure wool, 50/50 wool blends and pure synthetics. Pure wools cords are the best peformers in the long term, and are one of the most common forms of top of the line commercial carpets. 50/50 wool blends are the alternative to the luxurious pure wool look, without the higher price tag. and synthetic Sisal loop piles (most commonly made from polypropeleyne) are an excellent choice for rental propertys. Due to their stain proof druable fibre and tendency to steam clean well poly sisal carpets clean up well for the next prospective tennant. "Loop pile" yarn is left in a loop, and is not cut to create open tufts. All loops are of equal height, providing a comfortable finish that is durable and hard wearing. loop piles are avialable in pure wool, wool blends, and pure synthetic fibres. Pure wools loops are the best peformers in the long term, and are one of the most common forms of top of the line commercial carpets and domestic carpets. and synthetic loop piles (most commonly made from polypropylene) are an excellent and cheaper choice for rental propertys and commercial applications. Due to their stain proof druable fibre and tendency to steam clean well poly carpets (like poly sisal) clean up well for the next prospective tennant. poly loop commercial carpets are often found in heavy traffic commercial areas like video stores and the like. 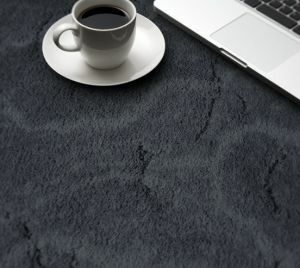 "Twist" is a cut pile carpet that provides a rugged surface texture. Two or more yarns of fibre are twisted together, leaving each tuft of the carpet with a twist, adding texture, character and wearability to the carpet. Twist piles retain the softness and plush feel of a plush pile however the over twisting of the yarn helps hide the shading velvet look of a plush pile. Twist piles are avialable in high quality high wool blends (80/20) wool blends (50/50) and pure synthetics. 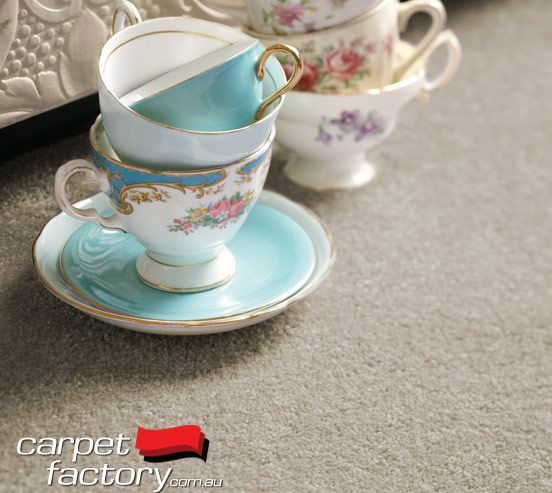 A combination of low loops and high cut pile provides a sculptured pattern within the texture of the carpet. cut & loops are avialable in various fibre combinations and vary greatly in styles and peformance. For easy clean choose stain treated nylon. All other fibres (poly based fibres) will crush and not bounce back like a wool or good quality nylon will.